It was a cold February day and I was in my office wanting to avoid stepping out onto the ice-slicked streets to look at yet another vacant apartment. I gave myself some time to ponder and started thinking broadly about the subject that occupies so much of my life - real estate. It struck me that through 8 years as a salesperson and broker I had read thousands of pages about real estate. Almost all of it being practical advice on the intricacies of marketing, finance, law, and other day-to-day topics that, while essential, are not always the aspects that I find most deeply engrossing. So I Googled. I wanted to see what interesting books there were on real estate, as a subject and as a story. One book, published in 1974, weighing in at several pounds, and clocking over 1300 pages, kept coming up over and over...The Power Broker - Robert Moses and the Fall of New York, by Robert Caro. To say I was engrossed is an understatement. This book hooked me from the opening pages like a novel. 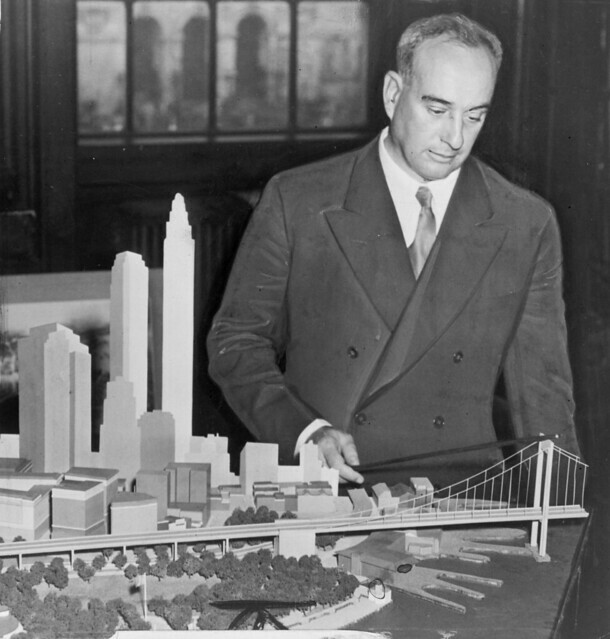 Obsessively researched and brilliantly written, it dives deeply into the achievements, simultaneously grand and grotesque, of Robert Moses, whose singular genius and relentless drive to build and wield power shaped an astonishing amount of what we know as modern New York. Over a 44 year career, he sat at the head head of a plethora of public authorities (at one point controlling 12 different agencies simultaneously), but was never elected by the people at any point. After reading this book, I couldn’t look to my left or right without seeing the hand of Moses. The West Side Highway, the Cross-Bronx, Jones Beach, Harlem River Drive, Triborough Bridge, Belt Parkway, Bronx River Parkway, Verrazano Bridge, Lincoln Center, hundreds of city parks, and SO MUCH more were envisioned and essentially willed into existence by him. His power reached from the Canadian border to the southernmost tip of Staten Island, and he brought numerous mayors and governors, including legends like Fiorello LaGuardia and Franklin D. Roosevelt, to heel on a regular basis. A perfunctory glance at his achievements inspires awe and might seem to warrant praise, but all was not remotely rosy. His lust for power was as big as his intellect and he held on to it ruthlessly. He also had a casual disregard for individual people, seeing “The Public” as the thing he nominally served, but ignoring the pain he brought to thousands of real flesh and blood people, displacing families and tearing apart established neighborhoods with his highways (the automobile was king for him - public transit the enemy), and guiding the creation of impersonal, indistinguishable public housing projects that have dehumanized and warehoused individuals for generations. His elitism and racism were central to the way he saw the world, and therefore to how he imprinted his vision on the real landscape of New York. As I said, this book is over 1300 pages, and despite that I would say it’s absolutely lean. There’s barely a word that doesn’t need to be there, so a simple post won’t even scratch the surface. My only advice is that if you have the slightest interest in the history of New York, or the intricacies of politics, or the power of the will, read this book. My perspective on the city and humanity itself were altered forever by reading it, and I GUARANTEE yours will be too.